So the other day there I was hungry and as usual with no idea what to have for dinner when a distraction occurs, my dad calls… he is all glowing (I could almost feel it over the telephone lines) but what synchronicity as he starts telling me about some fantastic stuffed peppers he just made for his dinner. To make things worse he said “Just to prove how awesome they are I am sending you pictures”… I thought to myself “Great… just what I really need at this moment – some pictures of a yummy dinner”. He was right though his dinner did indeed look totally fantastic and what was even more impressive – they grew the peppers in their garden! I really did envy my parents at that moment – a nice, healthy meal, which is already cooked and ready for consumption… This gave me the idea for the next day’s dinner. 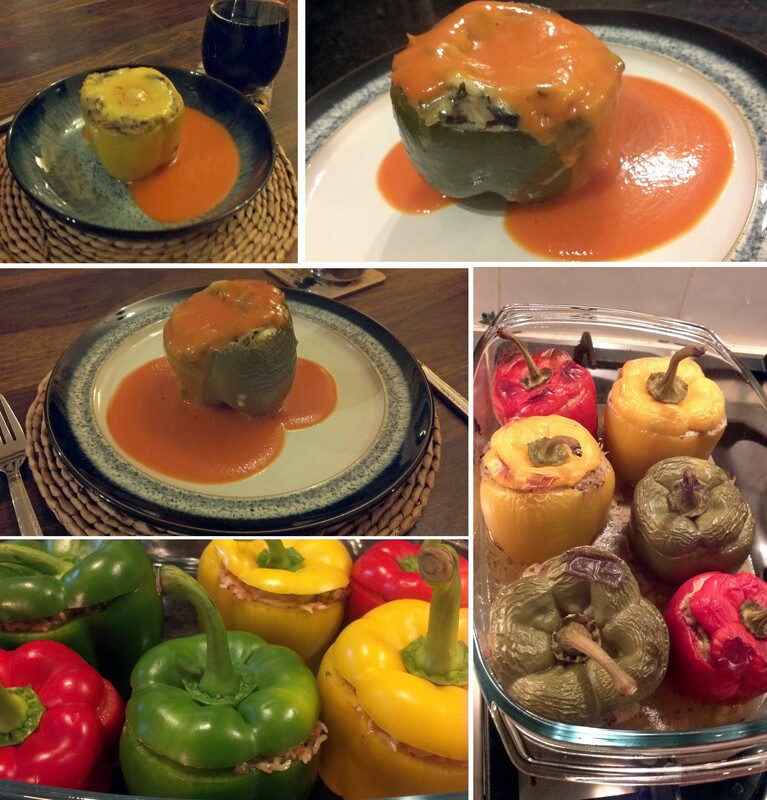 I really wanted to recreate my own stuffed peppers which would look at least as good as my dad’s, and with some luck even better so I could photo him back all smug. 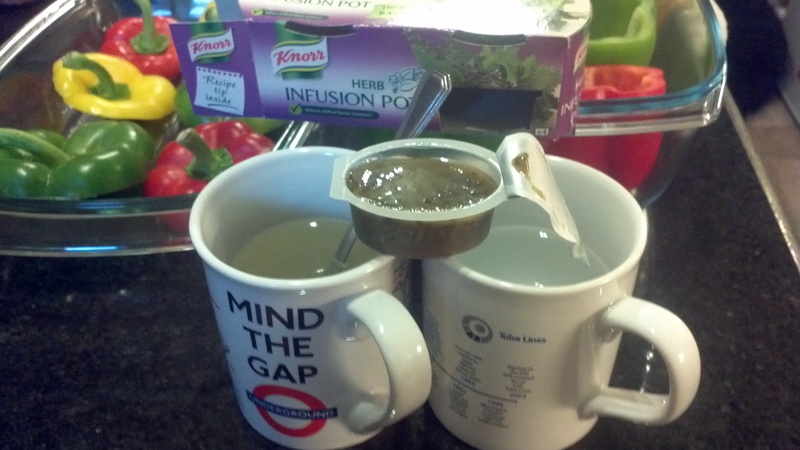 Once all peppers are in place put their lids on and add the 2nd cup of stock to the bottom of your dish. Cover and cook in the over for about 1.5h at 180C. Now it is time to dish up! I served our peppers with a tomato sauce (ok, almost tomato sauce, it was a tinned tomato soup from Heinz with added spices for a more “posh” flavour). 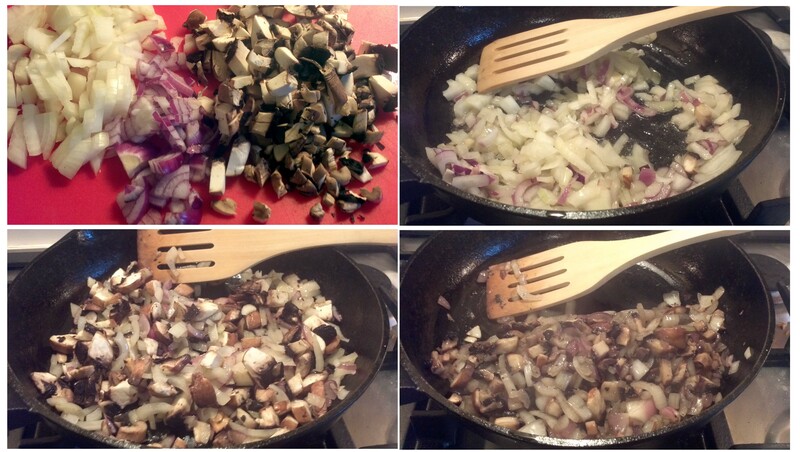 So there you have it a nice easy recipe for a colourful and funky dinner. 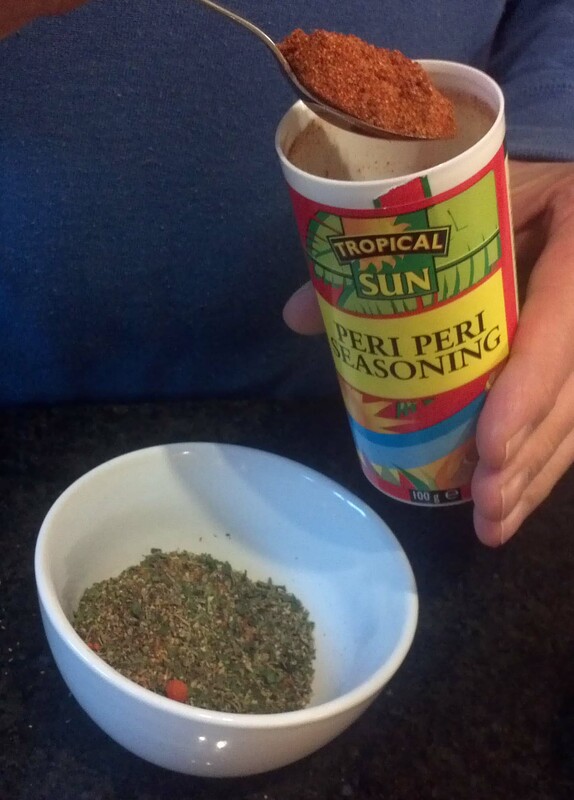 I’ve received a selection of herbs and spices from QSpice so I can use them in my cooking. Mmmm, I love stuffed peppers. These sound great too! Yum!! 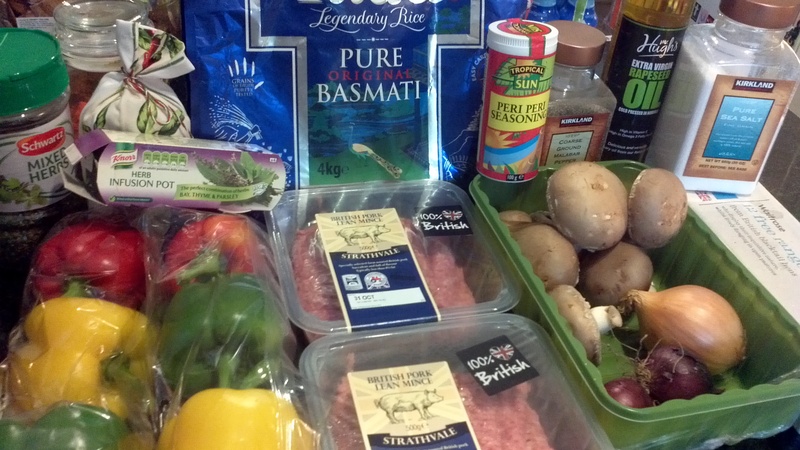 I love Stuffed Peppers and Stuffed Mushrooms! These look absolutely amazing and really really yummy!! Will have to see if Mamma Hurn will make me these! 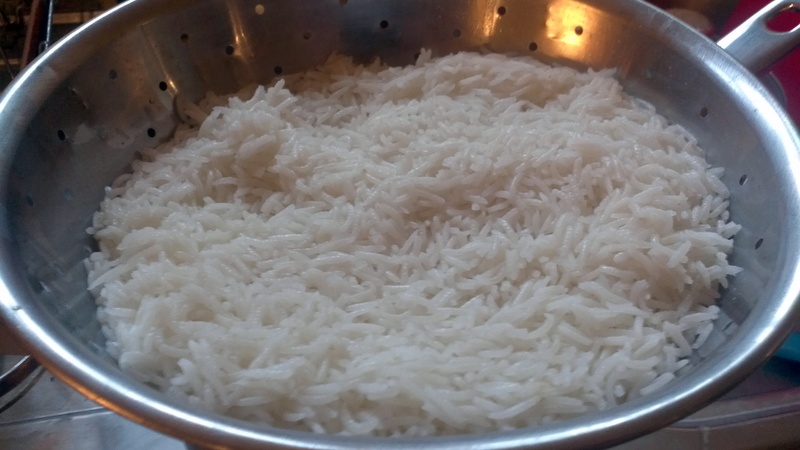 Rice is one of my favorite food. I’ve never cooked like this. Italian cousin is much easier than that. 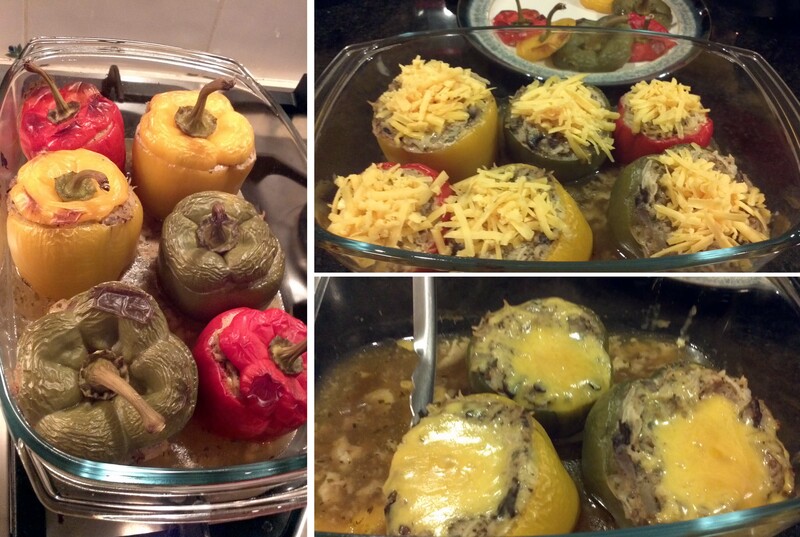 I love stuffed peppers, it’s usually something I make when we have barbecues. I love that your inspiration was your Dad’s pictures and phone call! looks good my partner would love this will have to give this ago. How delicious. Have a lovely weekend. I really should not have read this post because now I am extremely hungry! YUM! 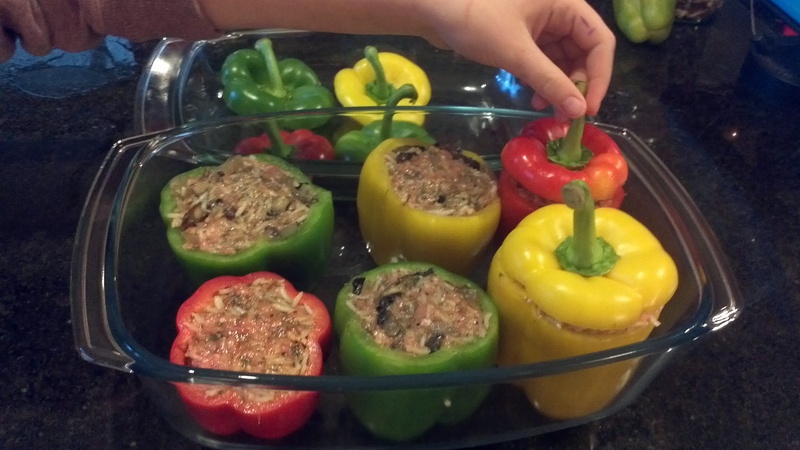 Stuffed peppers are my favourite, these look so yummy! Were the really spicy though? I’ve never had Piri Piri! 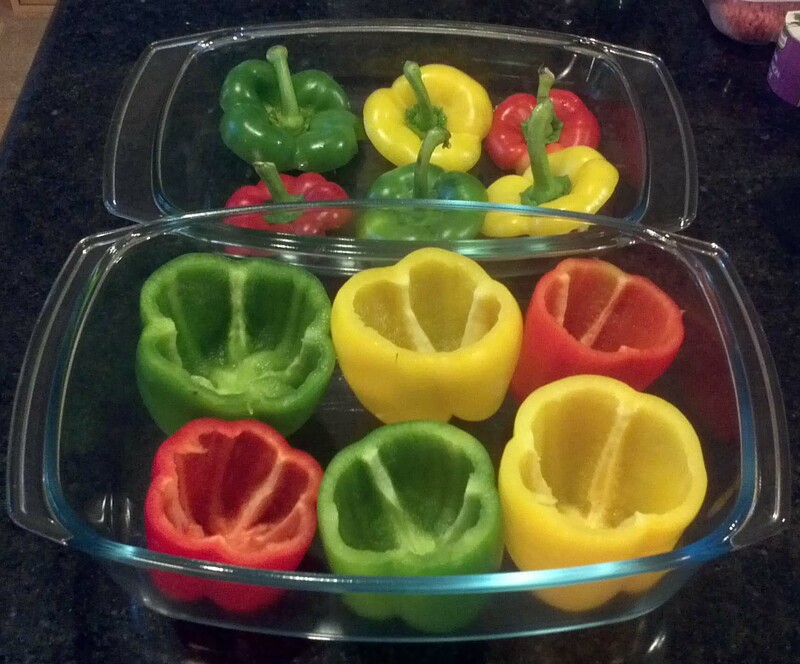 I would love to make it unfortunately my son is in a phase and doesn’t like peppers. 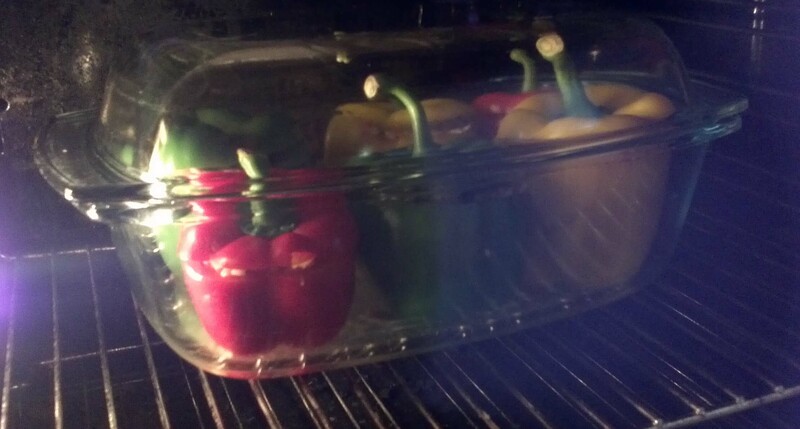 but again he might then tell me he likes it cuz it looks like the peppers are holding a secret yummy inside. I’m so hungry right now and those look delicious!